51st day of the year. There were then 314 days left in 2019. 62nd day of Winter. There were 28 days left till Spring. No major holidays found for this date for WinCalendar indexed countries. 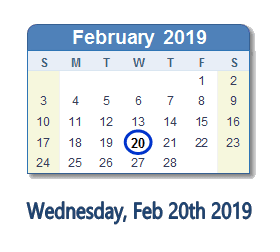 What happened on February 20th 2019?